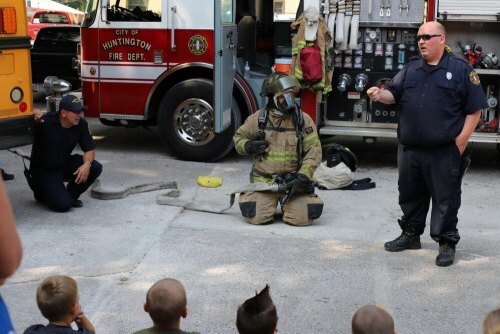 Safety Town welcomed its first second-grade class of the season last week after multiple improvements had been made to the facility over the summer. Altizer Elementary was the first school to make the trip to Safety Town this year and Mrs. Prater’s class saw firsthand the hard work put in to make the “Safest Little Town” look even better. Fresh paint, new carpet, and beautiful landscaping and picnic benches are just a few of the improvements that the children got to enjoy. Since 1974, Safety Town has offered safety instruction to Cabell and Wayne County second-graders. The classroom curriculum includes safety instruction regarding vehicles, crossing roadways, fires, talking to strangers, drugs and alcohol. The students then get to practice what they have learned in a miniature village complete with go-karts that they take turns driving. 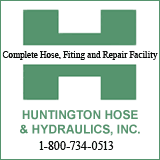 The improvements have been made with the help of several volunteer hours from numerous City of Huntington employees and by Recovery Point of Huntington. While Safety Town has gone through physical enhancements, the curriculum has been updated as well. The instructor goes over pedestrian and school bus safety, followed by bicycle safety. The curriculum now includes drug and alcohol safety alongside the regular personal safety training. This is then followed by vehicle, fire, and home safety, after which the students get to apply some of what they’ve learned by driving the vehicles around Safety Town. Safety Town is developing sponsorships for the small buildings in Safety Town as well as the naming rights for the main, classroom building. There will also be volunteer opportunities for the general public that will occur during non-instructional hours and on weekends. Those who would like to volunteer at Safety Town can email their name, phone number and email address to safetytown@cityofhuntington.com. Volunteers will be contacted when opportunities arise. Those who would like to make a monetary donation for improving Safety Town can send a check to the City of Huntington Foundation, P.O. Box 1659, Huntington, WV 25717-1659. “Safety Town” should be written in the memo line.